Suitable From Birth, The Stylish Mothercare Roam is A Complete Travel System Which Includes An Infant Car Seat, and Can Be Customised In A Choice Of Vibrant Colours With One Of Our Roam Colour Packs (available Separately) – Ensuring You Have All You Need To Take Your Baby From A To B! The Flexible Pramette Seat Unit Easily Converts To A Lie Flat Pram Mode Allowing Your Newborn To Travel In Comfort. The Seat Unit Can Be Used In Both Forward and Parent Facing Mode. Parent Facing Mode is Ideal for Younger Babies and Can Help To Support The Bond Between You and Your Little One. as Well as Being Beneficial for Language Development This Mode Offers Reassurance for Both You and Your Child. as Your Baby Grows The Seat Unit Can Be Used On The Chassis In A Forward Facing Mode so Your Little One Can View The World Around Them. 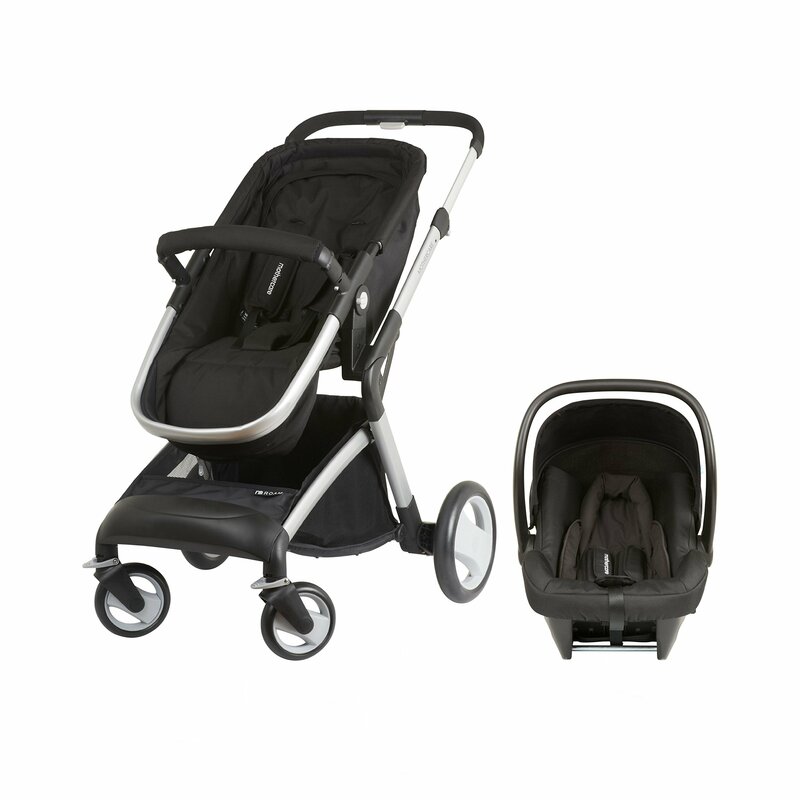 To Use The Roam as A Travel System Simply Attach The Infant Car Seat Directly To The Chassis Allowing You To Move From Car To Foot With Ease. The Front Swivel Wheels Allow The Roam To Glide Easily Over Smooth Surfaces Making It Easy To Manoeuvre and Turn, and when Pushing On Bumpy Pavements or Over Rougher Ground The Wheels Can Then Be Locked Into A Fixed Position To Make Steering The Pushchair Simple. A Height Adjustable Handlebar is Also A Feature Of The Mothercare Roam Allowing It To Be Comfortably Pushed By Parents Of Different Heights, and By Removing The Seat Unit The Roam Can Be Compactly Folded for Storage. Other Great Features Of The Pushchair are The Generous Shopping Basket Which is Perfect for Keeping A Changing Bag or Other Small Items Plus A Detachable Bumper Bar for Added Safety. The Mothercare Roam Travel System Can Be Completed In A Range Of Vibrant Colours (colour Pack Available Separately) To Ensure You Really Stand Out In The Crowd. Complete your roam pushchair by purchasing a roam colour pack in a range of exciting colours. Comes complete with infant car seat. the car seat is suitable from birth to a max. weight of 13kg/29lbs (approx 12/15 months).